This interview by Scott Barretta originally appeared in the Fall 2017 Southern Register. 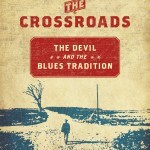 Adam Gussow is an associate professor of English and southern studies at the University of Mississippi whose latest book is Beyond the Crossroads: The Devil in the Blues Tradition (University Press of North Carolina), a survey that occupied seven years of research. Gussow has also grappled extensively with the devil in his parallel career as a professional blues musician—for over thirty years he’s recorded and toured internationally with Sterling “Mr. Satan” Magee, a relationship he addressed in his memoir Mr. Satan’s Apprentice. Photographs from the Do Good Fund’s photo collection will be exhibited at various venues in Mississippi during the fall of 2017. Those venues include the Gammill Gallery (Southern People, Southern Places) from late September through mid-December, the UM Art Department’s Gallery 130 (NOW: Contemporary Southern Photography) during October, as well as at the University of Southern Mississippi’s Gallery of Art and Design (Portraits of Southerners) October 12–December 12. There are smaller exhibits scheduled in several Water Valley venues and possibly one in Sumner. While fresh flowers or a night out to dinner might be a perfectly acceptable birthday present, Ernest Joyner III of Tupelo, Mississippi, went one step further. 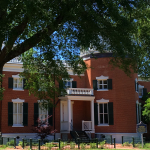 His recent birthday surprise to his wife, Jamie, was the creation of the Jamie Joyner Endowment in Southern Studies to assist University of Mississippi graduate students. 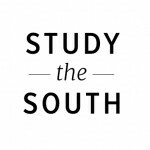 On June 19, Study the South published a new essay by Isabel Machado, a Brazilian historian currently living in Monterrey, Mexico, while writing her PhD dissertation for the University of Memphis. 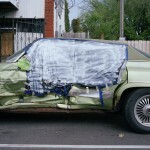 This fall, southern studies launches its new master of fine arts in documentary expression program. 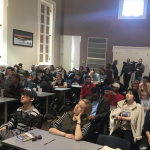 The goal of this new program is to teach students who already possess considerable skill and experience in documentary techniques and interdisciplinary scholarship to produce documentary films, photography, or audio projects of high quality. 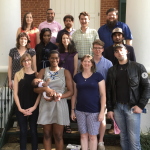 The background for this idea is that the southern studies MA program has graduated numerous students who, as they complete the program, say they wish they had the time and attention to apply their newly learned skills to a polished project.